Maintain a healthy weight. Being overweight is tough on your heart and can also cause sleep apnea (disruptive breathing while asleep), which can further raise one’s blood pressure. Losing just 10 pounds can reduce your blood pressure immensely. Exercise on a regular basis. Physical activity, like walking, jogging, swimming, cycling and dancing, can help you avoid it turning into full-blown hypertension. Eat a healthy diet. 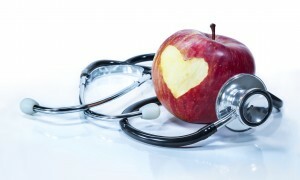 Consuming a diet that consists of fruits, vegetables, whole grains and low-fat dairy can help lower your blood pressure. Be sure to avoid foods high in saturated fat and cholesterol, as these foods can increase blood pressure. Be smart with your salt intake. The effect of sodium intake varies among different groups of people. To decrease your sodium intake you can read food labels, eat fewer processed foods and avoid adding salt to meals. Reduce your stress. Chronic stress contributes to high blood pressure, as well as occasional stress, if it leads you to eating unhealthy foods, drinking alcohol or smoking. To reduce your stress levels, you should take some time to think about what is causing your stress in the first place. Once you figure out what is causing your stress, think about how you can eliminate or reduce it. If you would like more information on high blood pressure, contact Dr. Gordon C. Gunn MD in Fullerton, CA at 714-912-2211 to schedule an appointment today. Or visit www.gordongunnmd.com for additional information regarding women’s health. If you’ve recently been diagnosed with high blood pressure, also referred to as hypertension, you may be worried about having to take medication to lower your numbers. While it’s true, medication can lower your blood pressure, there are also other ways you can go about lowering your blood pressure. Maintain a healthy weight. Blood pressure typically increases as weight increases. Being overweight can also cause sleep apnea (disruptive breathing while asleep), which can further raise one’s blood pressure. Losing weight is one of the most effective ways you can lower your blood pressure. Losing just 10 pounds can reduce your blood pressure immensely. Exercise on a regular basis. Regular physical activity can help you lower your blood pressure. It’s important to be consistent because if you aren’t, your blood pressure can increase again. If you already have slightly high blood pressure, physical activity can help you avoid it turning into full-blown hypertension. The best kind of exercise to lower blood pressure include, walking, jogging, swimming, cycling and dancing. Eat a healthy diet. 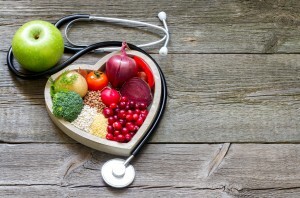 Consuming a diet that consists of fruits, vegetables, whole grains and low-fat dairy can help lower your blood pressure. Be sure to avoid foods high in saturated fat and cholesterol, as these foods can increase blood pressure. It can be difficult to change your eating habits, but with determination it’s possible. Be smart with your salt intake. Even just a small reduction in your sodium intake can reduce blood pressure. The effect of sodium intake varies among different groups of people. To decrease your sodium intake you can read food labels, eat fewer processed foods and not add salt to meals. 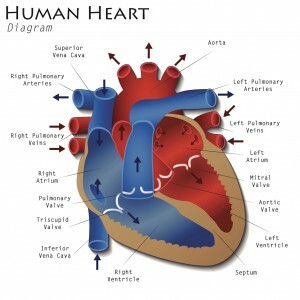 As you can see there a simple ways you can go about lowering your blood pressure naturally without the use of medication. If you would like additional help lowing your blood pressure, contact Dr. Gordon Gunn MD in Fullerton, CA at 714-912-2211 today. Or visit our website at www.gordongunnmd.com for more information regarding high blood pressure.